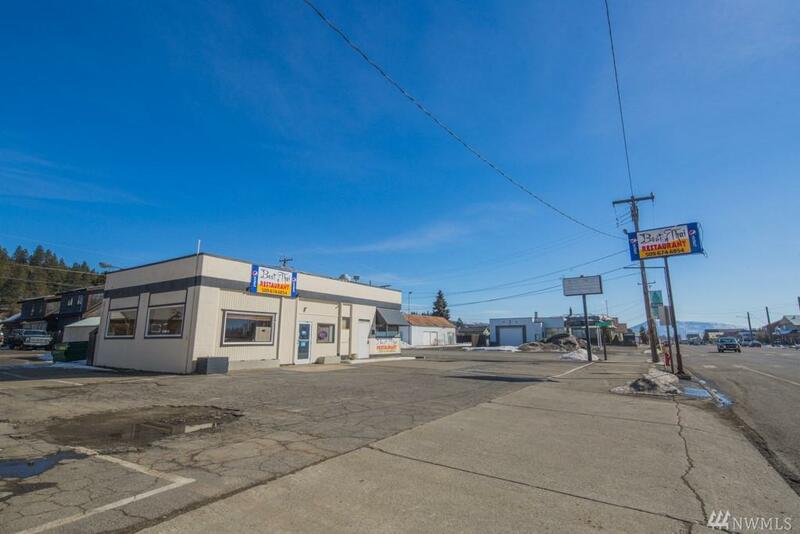 High visibility corner lot (12,000sq/ft)located in the commercial central district of Cle Elum. 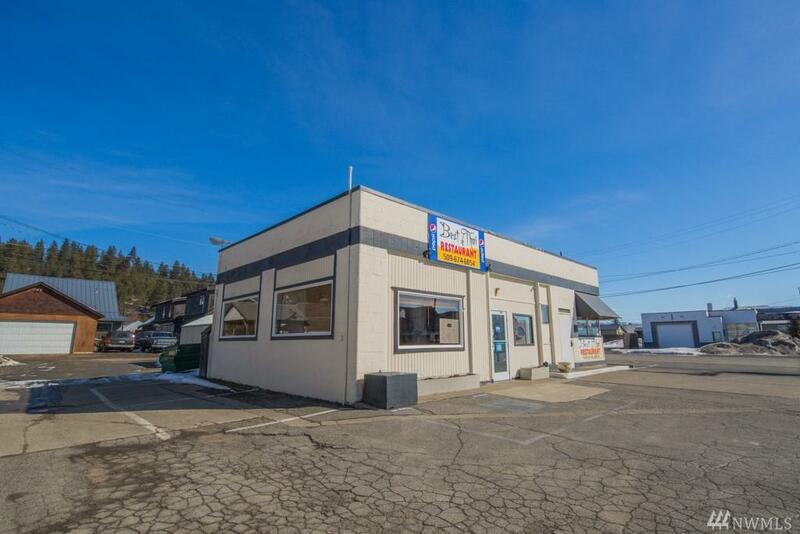 Great location at the corner of First and Bullitt Avenue with 100 feet of First Street frontage & 120 feet along Bullitt Ave. 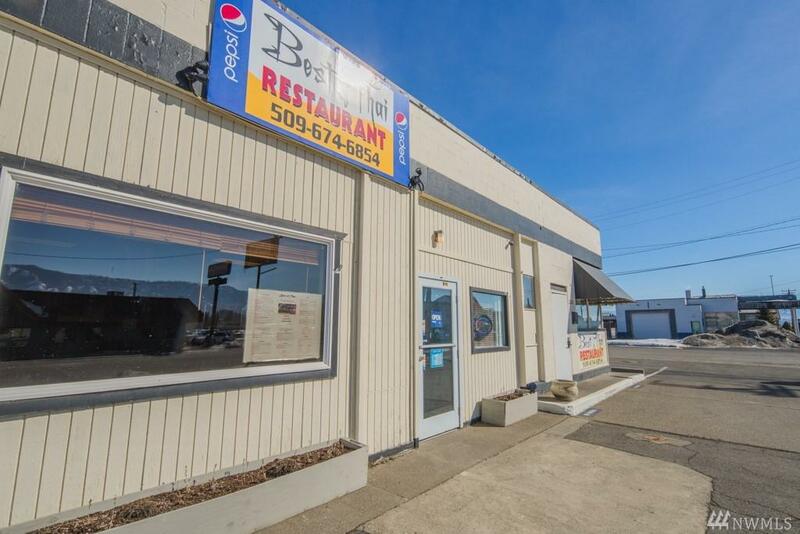 Established restaurant with paved off-street parking & an additional 2bed/.75bath residential unit, and was formerly a retail space. 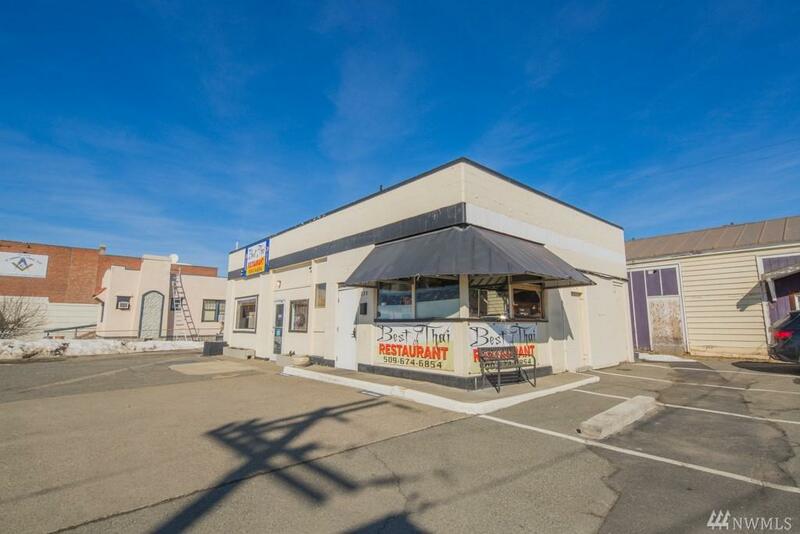 Strong rental history for both buildings.